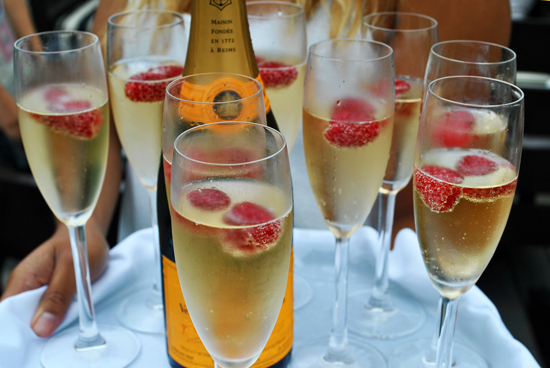 Veuve Clicquot, pizza and Tori Spelling—A slice of reality indeed. So here it is; the moment where everyone finds out how much I actually love reality tv—I wasn’t planning on sharing that shameful tidbit with you, but somehow it sneaked itself into my “alter-ego’s” life. 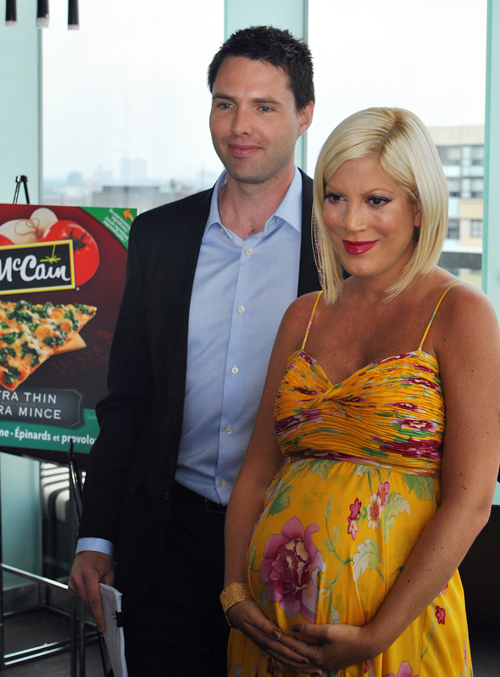 As it happens, Tori Spelling is McCain’s spokes person for their new line of Ultra Thin Crust Pizzas. Last week, she was at the Thompson Hotel in downtown Toronto promoting the brand. While this was an unusual amalgam of mediums it was certainly not the worst way to spend an afternoon. 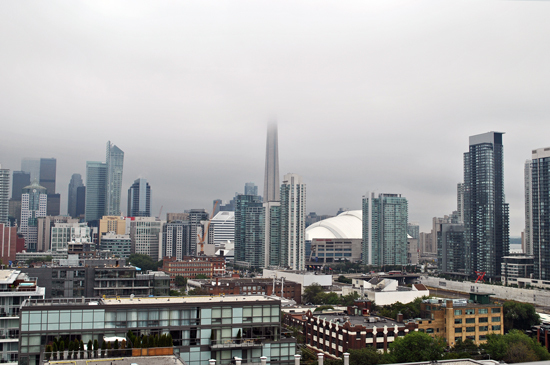 I’ll drink champagne, and eat pizza on top of the Thompson Hotel any day of the week– I mean, just look at that view (a little cloudy, but you get the idea, right?). This came only a few days after my friend and I were debating on whether Tori is as fantastic in person as on her show. The answer in short is, YES!! Albeit I don’t hang out with the echelons of reality television for a point of reference, but she is poised to be in the spotlight and handle any flack publicity might throw her way—with grace might I add. So what was Tori doing promoting McCain’s pizza? It is the launch of their new campaign which promotes mom-approved, natural ingredient and easy to pronounce ingredients. She is being the idea of the McCain’s initiative to reformulate their recipes with wholesome ingredients– all done without compromising taste. Truth be told, I always teeter on the convenient, ready to heat/eat meal fence. 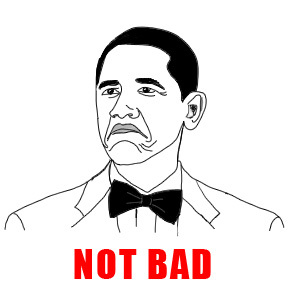 As much as I stray away from consumption, there’s always that one night where there is little to no drive to cook. Yes; it happens– and as a chef (wow, it sounds weird when I say it) its never something to be proud of. The good news is that the guilt is slightly diluted when you can justify that your meal is made with the same ingredients you would use to make the dish itself. McCain’s new gourmet line offers a good range of seemingly simple flavor combinations. They include: Spinach and Provolone, Pollo, Capicollo Ham, Roasted Vegetable and Goat Cheese, and Roasted Mushroom and Garlic; all under $7. I, personally, was impressed with the pizza. I can’t say for certain whether I was in due in part because the Veuve Clicquot was flowing, or whether I was swooned by Donna Martin’s Tori Spelling’s presence—but it was good. Tori looks really good there.That must have been lots of fun. I would have been star-struck. I’m a big tv fan. 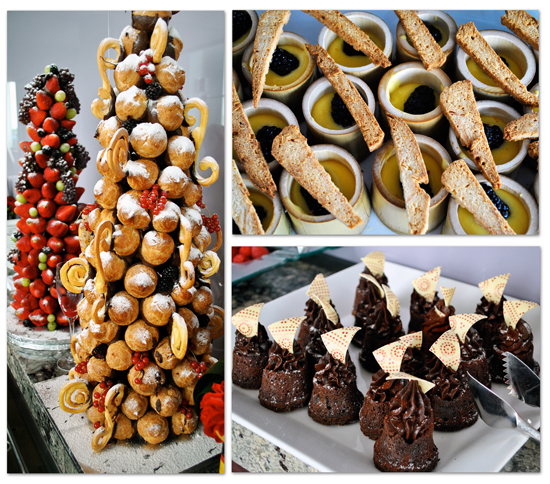 The strawberry towers,lemon mousse, and champagne look very appealing! 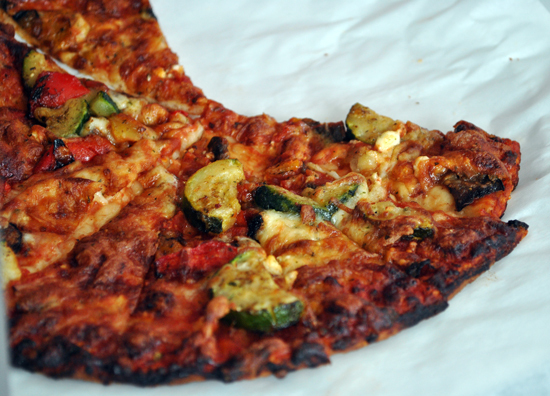 How was the roasted mushroom pizza? Did you get a chance to try it?